I was all set to write a glowing review of the writing in this book. I particularly wanted (and still want) to defend it from the accusations that it's slow and boring and that it's not Gone Girl. You're right, it's not Gone Girl. The publisher pushes that in their description, but I really don't know why. You've got unlikable characters, both of whom are a bit unhinged, but that's where the similarities ended for me. This is a literary work, not a thriller and it's character-driven, not plot-driven. So if you go into it expecting Gone Girl 2.0, you will be disappointed. That said, I loved the book and thought the characterizations were excellent. So why do I say I only wanted to defend it from a writing perspective? Because as I sat down to write this review I realized I cannot for the life of me remember how the book ends. I gave it four stars on Goodreads, so obviously I enjoyed my reading of it, but I have no idea how it turned out. And I only read it a month ago. It's a lot hard to defend the literary merits of a book where I can't remember what happened, even though I only read it a month ago. Despite having forgotten the ending completely, I do remember that I thoroughly enjoyed my reading of the book. I like unlikable characters and unreliable narrators, and there were plenty of both to go around. I liked the slow building suspense and the way the book was more about the characters and their relationship to each other than it was about the murder itself. I was hooked and stayed up late to finish it. I still give this one a thumbs up, although a slightly more reserved thumbs up than I originally intended to give it. I loved reading. I just wish that I could remember the ending. Interesting that you can't remember the ending, hmmm. 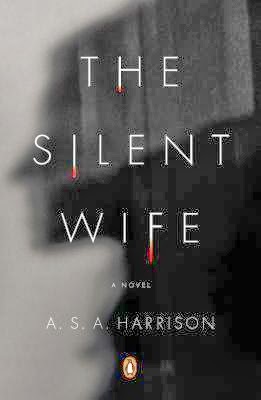 I was not a fan of Gone Girl and I have this one on my TBR list. I love unreliable characters.